Parents responsible for raising children with ADHD as well as adults living with this same disorder found themselves dealing with a significant shortage of ADHD treatment solutions in 2011 and 2012. This wasn’t because of a decline in the production of these solutions, but instead because the diagnosis of this mental condition had risen so sharply over the last five years that it quickly outpaced the normal rate of production. According to information published by the Center for Disease Control and Prevention (CDC), almost 11% of all children between the ages of 4 and 17 have been diagnosed with ADHD – and most experts believe that number to be more than a little bit on the lower side of the actual epidemic we are dealing with today. Medical experts, professionals in the mental health community, and researchers and scientists all believe that the current estimate of they are being 6.4 million children in the United States diagnosed with ADHD is on the lower side of the scale. Some suggest that the number could be as much as two or three times higher (we are talking about as many as 18 million or more children in the US alone) – and others still believe that it could be even higher still. To say that we are dealing with a serious epidemic is selling the problem of ADHD in children quite short. This is one of the biggest fundamental issues that we as a society (not just here in the US, but worldwide) need to address as quickly and as effectively as humanly possible. Our children (and their children) truly are the future, and we need to make sure that they are as best prepared to deal with the significant and rapidly changing challenges that they will face in the years to come – especially when they leave our guidance and protection. Better understanding ADHD and how it impacts their lives will go a long way towards making sure that they are ready to meet and overcome all challenges moving forward. Here is a bit of inside information you’ll need to be aware of as a parent of ADHD children. What is ADHD in children? Attention Deficit Hyperactivity Disorder (ADHD) is one of the most difficult mental disorders to describe and to diagnose properly, mostly because it presents itself as such a unique set of symptoms in each child or adult that has to live with it. Doctors, scientists, researchers, and mental disorder professionals alike understand very little about ADHD, why it presents itself, and how to effectively treat it across the board – though we understand much more about this condition today than we did even just 15 years ago or so. Classified as a mental disorder that “confuses and fogs the brain” in a variety of different situations and circumstances, ADHD presents itself as a challenge to children that are trying to learn, develop, and focus by constantly and consistently distracting them almost around-the-clock. Different from ADD in that the hyperactivity presents itself in a variety of different ways (an inability to sit still, twitches and ticks, etc. ), ADHD is a bit easier to diagnose because of the physical symptoms that are usually quite noticeable – but that doesn’t make it effortless to diagnose by any stretch of the imagination. In fact, there are a significant amount of people out there that believe ADHD and ADD are nothing more than “invented” disorders – phony medical conditions pushed by the medical community to sell pharmaceutical solutions and pills for a condition that doesn’t exist in the first place. Now, obviously, the fact that ADD and ADHD are so difficult to properly diagnose makes it quite a bit of a challenge to persuade those people that this is in fact a real and serious epidemic that we are dealing with – but scientists and doctors alike almost universally agree that there is a very real problem here that needs to be addressed. What causes ADHD in children? As mentioned above, researchers are still unsure about exactly what causes ADHD in the first place, which is a large part of why it is so difficult to effectively treat and cure this condition. Many researchers now believe that there is a strong genetic basis for the issue at hand (a hereditary condition that either causes ADD/ADHD or at least contributes directly to it presenting itself), while others still believe that it is more of a sociological and cultural issue stemming from the constant bombardment that children are dealing with from every avenue around-the-clock in our modern world. Honestly, the real cause of ADHD in children is probably somewhere in the middle of those two root issues, a bit of a hybrid between both of them that combined together to create a perfect storm of conditions that produce this mental disorder. Researchers at Michigan State University are working around-the-clock to better understand the issue at hand, and they certainly aren’t the only ones that are putting in the hours and the time to figure out exactly why ADD and ADHD has become so prevalent in our modern world. More research is certainly necessary (and ongoing), but it shouldn’t be too terribly long until we have a better grasp on why these conditions exist in the first place. Hopefully that will naturally lead us to better understand how to treat, manage, and effectively eliminate the problem altogether. For now, though, it’s important that you understand that there are any different number of things that could have created in ADD/ADHD condition in your children (or for yourself), and that there is little you could have done to prevent the situation from happening in the first place. Our society is moving at a fast and almost frenetic pace, with all kinds of media and technology forcing our systems to overload on a day to day basis. That isn’t going to change anytime soon, and in fact it should only become worse moving forward. And if ADD and ADHD are linked solely to genetic conditions, there isn’t anything you could have done to prevent the condition from presenting itself in your child (or for you), either. 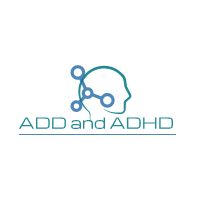 Thankfully, there are a handful of things that you’ll be able to do to manage, mitigate, and all but effectively eliminate ADD/ADHD going forward. But that all starts with a proper diagnosis. How can I determine whether or not my child has ADHD? The only way to determine whether or not your child has ADHD is to take advantage of the different testing protocols that are made available today. One of the most important components of this diagnostic process is speaking with psychologists that understand the condition, understand what to look for as far as symptoms are concerned, and understand that this is an underlying issue that can permeate all different areas of an individual’s life. Usually it requires a number of sessions with a professional psychologist to reach a definitive diagnosis, though this should be able to take place after four or five sessions maximum. But a diagnosis from a psychologist isn’t the only testing that you’re going to want to move your child through if you want to reach a definitive conclusion. No, you’re also going to want to push your child through standardized testing designed to elicit whether or not a child is struggling with ADD or ADHD. Some researchers are a little bit suspect about whether or not these standardized tests are effective as they claim to be, but so far they are one of our best testing protocols that have shown the most promise in achieving a successful diagnosis (when used in conjunction with other methods, of course). What kind of treatment options are there for children diagnosed with ADHD? More and more people are moving away from chemical intervention (like Ritalin), largely in part because of the negative side effects associated with long-term use of these prescription drugs. Many children have responded very favorably to therapy and meditation training aimed at helping them channel they are condition and use it as a force for good, giving them tools that they can then use as adults to better manage their lives and lead happy, healthy, and well-adjusted lifestyles going forward. The first piece in the puzzle of helping your children with ADHD is to reach out to professionals in your local area for a proper diagnosis. Once you receive a comprehensive diagnosis and are certain that you’re dealing with this kind of condition, then and only then is it time to begin discussing proper treatment solutions. Keep your mind open about the options available to you, and don’t be afraid to ask any and all questions you have before going forward with one of these solutions.